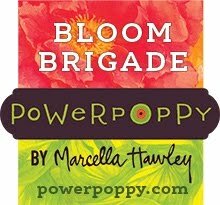 Have you had a chance to play in our Power Poppy Power & Spark Challenge yet this month? Cindy’s given us a fun challenge called Portion Control. It involves using just part of your image on your design which I think helps you look at your stamps in a new way. And, if you play along you could win a $50 gift certificate to the Power Poppy Store! That’s a fun early Christmas present. On today’s card I used the very lovely set, Heaven and Nature Sing. I love the look of Lenten Roses! They are so dainty and come in some interesting colours, so I combined two of my favourite colours they are created with, a deep burgundy pink and an acid green. I used just portions of the image around a square cut piece of XPress It Blending cardstock to create a bit of a framed feel, cutting out the center with my snippy scissors. On the layer beneath, I used a detailed Spellbinders Die and stamped the sentiment inside the popped up frame and then added a layer of pomegranate paper underneath for a nice rich contrast. For the embellishments I added some pretty gems that take on the tones of the roses, and blue greens. Here are the Bloom Brigade with inspiration for you today? Beautiful Christine, the rich coloring is wonderful. Adore the way you created the frame and cut the center for the sentiment. Simply beautiful! What an eye-popping rush of color! 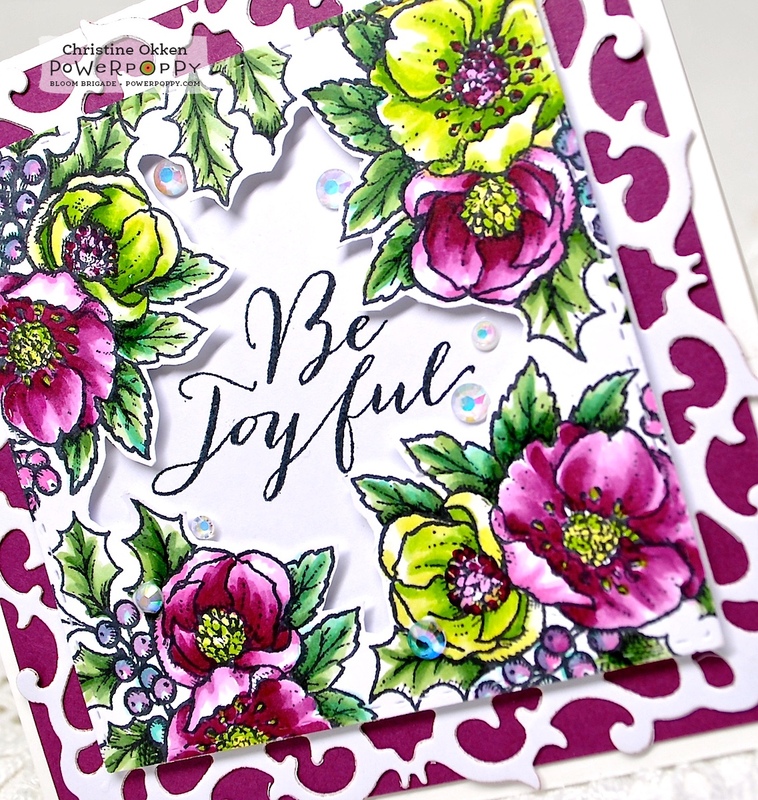 Absolutely gorgeous Christine and oh-so-beautifully put together with the die cut addition. Gasp! Could this be more beautiful? I think not! STUNNING!! I am always amazed at the depth and dimension you get in your coloring. Those flowers are just amazing!! I can't believe I bypassed this stunning creation, Christine!! I have learned so much from studying your coloring...it is different and fun and I always adore the combinations you come up with!! So gorgeous...and the white matting really sets it off.